There's truly an art to packing well. Sure, you can carelessly toss shirts and pants into your suitcase any which way and then zipper your bulging bag shut by sitting on top of it, but that's not the best strategy. Take that route and you'll end up with wrinkled (if not ripped) clothing that might even be stained from the soles of dirty sneakers or a spilled shampoo bottle. If you think hard about which items you really need to bring, where to put them in your bag, and how to fold or roll them, your clothes will arrive at your destination clean and ready to wear. Plus, as a bonus, you'll likely be able to fit more items in your bag when your belongings are organized. Whether you're traveling for business or pleasure, packing the perfect bag takes a little practice, but you can start by stealing the following tips from Eagle Creek packing experts. “During my business trips, I have needed a way to bring paperwork and catalogs that I didn’t want to get crunched in my carry-on luggage. So, I would put them inside the Medium Pack-it Folder, along with my nice pants and collared shirts. The structure board and folding board work amazingly for keeping my papers nice and crisp for presentations," says James Hebert, Product Developer at Eagle Creek. This is a great example of making a versatile product perform double duty. Not only does the Pack-It Specter™ Garment Folder hold eight to 12 dress shirts or slacks, compressing the clothing and keeping wrinkles at a minimum, but it also will keep important papers smooth and professional-looking, as well. “I use color-coded sacs for small things, and color-coded cubes and half cubes for various clothes. It helps with organization," says Seth Neville, Product Brand Manager at Eagle Creek. Traveling with multiple people, even if you’re not sharing a bag, can be an organizational nightmare. Factor in kids (whose socks are those? Where is that pink t-shirt that I know I packed? ), and a simple weekend getaway can turn into a major exercise in planning. 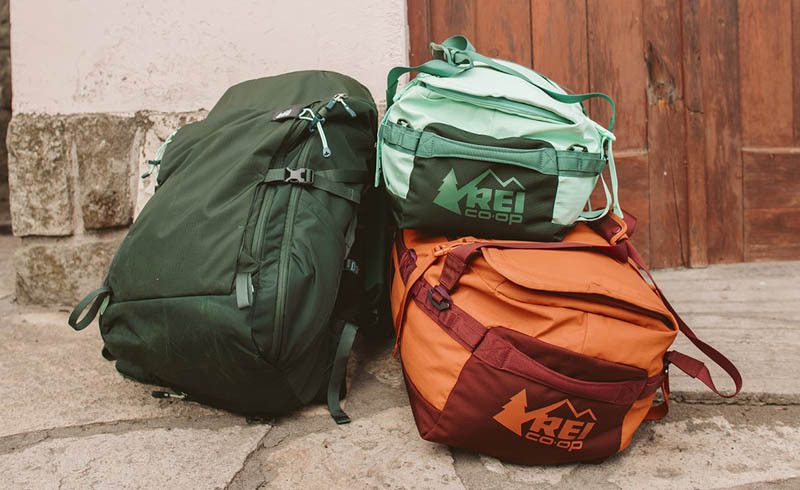 However, the Eagle Creek cubes and Pack-It sacs are available in several different colors, allowing each member of the family to have his or her own assigned color. Roll shirts and pants before putting them into the cubes to save more space. Use the larger cubes for bulkier clothing, like jackets or snow gear, and use the smaller cubes for things like t-shirts, skirts, and underwear. A clean/dirty two-compartment cube can also help you keep your fresh clothes from your smelly clothes, or your wet stuff from your dry stuff. One side is breathable mesh and the other is water-repellant and traps any moisture and smells. “For me, the medium Cargo Hauler is my go-to bag. I’ll use it sometimes when traveling via plane for my all my checked clothes, but this duffel really shines when I’m playing outdoors. It’s a perfect rope bag when I’m out rock climbing, a beach bag for a long day filled with surf, or I’ll jam it full of camping gear when spending a weekend car camping," says Dan Funk, Former Marketing Coordinator. Outdoor exploits require their own set of gear, so having a durable, adaptable bag that can go from the woods to the shore is the best way to keep all that gear organized. The Cargo Hauler has gear pockets, grab handles, and comfy shoulder straps in case you need to haul it like a backpack. Despite all those features, it's ultra-light so it won't weigh you down. 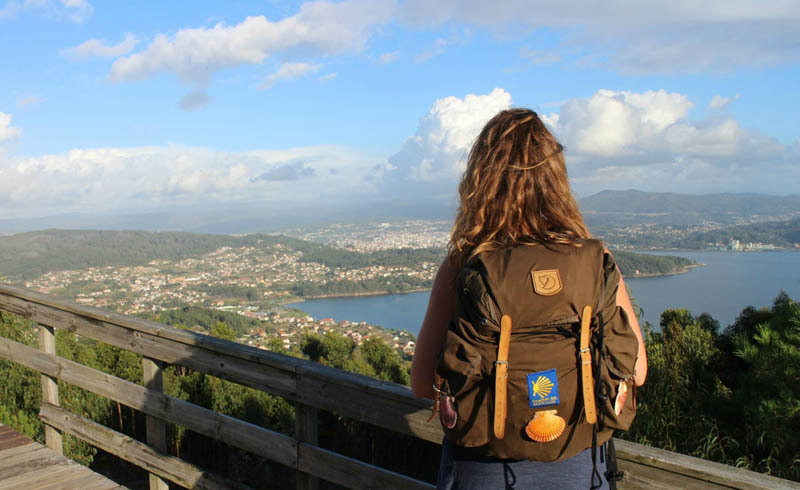 "The Pack-it Original Wallaby is perfect for all my toiletries and makeup. It's able to hold everything I need to bring on my weekend trips," says Cleydi Guitron, Web Coordinator. The Wallaby is an excellent place to store toiletries, because it has plenty of pockets and compartments, including a removable 3-1-1 pouch so you can fly through TSA screenings at the airport. It also has a handy hook, so you can hang it from your hotel or hostel's bathroom door and save counter space in the bathroom. No matter what drives you to travel, these three expert packing tips can help you streamline your preparation process. And you'll feel the difference from the moment you unzip your suitcase at your destination, because you'll know exactly where all your items are, and that'll help you to de-stress and enjoy your time away. What are your favorite packing hacks? Share your ideas in the comments, below.